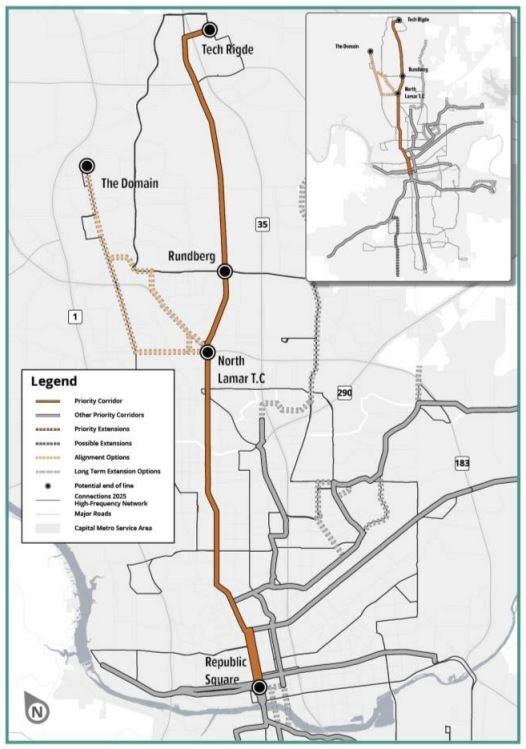 Last month, on July 26th, Capital Metro’s Project Connect, together with several other regional agencies, sponsored another of their “Traffic Jam” community meetings to discuss possible options in the planning process. This mainly consisted of a panel of professionals and officials, some local, and some from elsewhere in the country, sitting on a stage in a chapel at Huston-Tillotson University explaining different transit issues to the audience. I attended this event, but was extremely disappointed in what I saw for a number of reasons. For one, the talking heads were allowed to go over their allotted time (typical for politicians and agency officials), leaving only a half-hour of the two and a half hours of the originally scheduled event time for audience participation. This common practice is designed to minimize public input and maximize officials’ output (i.e., a PR effort). Project Connect-sponsored “Traffic Jam” meeting on July 26th at Huston-Tillotson University. Opportunity for audience participation was truncated. Photo: L. Henry. More importantly to our concerns, as was the case with the April “Traffic Jam”, the politicians never got specific about mass transit and talked instead mostly about how expensive transit is and how little money they have. At the same time they have been touting how much good they’re doing building new road capacity with the 2016 bond issue. 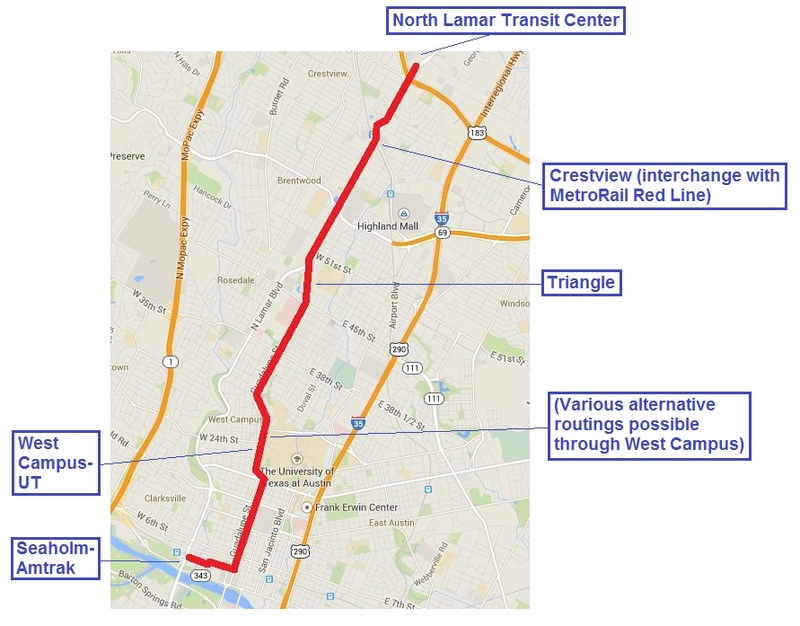 Capital Metro’s blog post on the recent “Traffic Jam” added little of substance, but in truth there was little offered by the consultants and local officials, so not much to report on. This event could have been much more effective had there been discussion of Austin’s specific needs, rather than dwelling on reports of what worked in other cities. 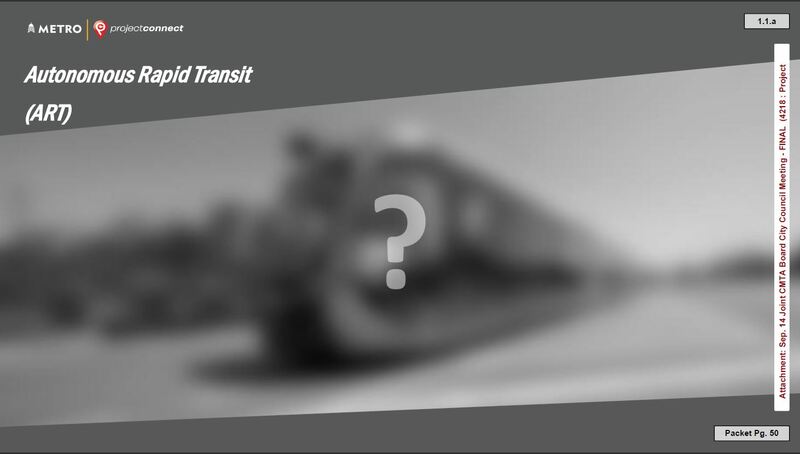 There was no mention from the stage of what kind of new transit should be built here – and where. That was a glaring omission in the program agenda. It seemed a clear message that they’re seeking public (written) comment of the kind where officials will not be required to respond with any specificity, much less take a stand for or against. I hope I’m wrong, but to date the only messages we’ve received indicating openness to specific forms of new transit initiatives relate to what they’re calling “Super BRT” as if it were a done deal. 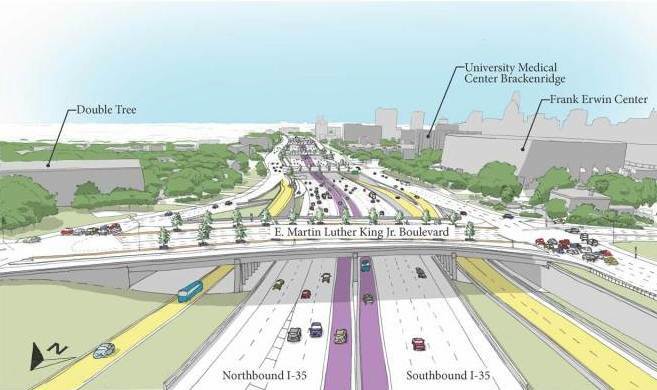 … Hemingson told reporters that the agency has been talking with TxDOT for five years about the I-35 bus rapid transit plan. 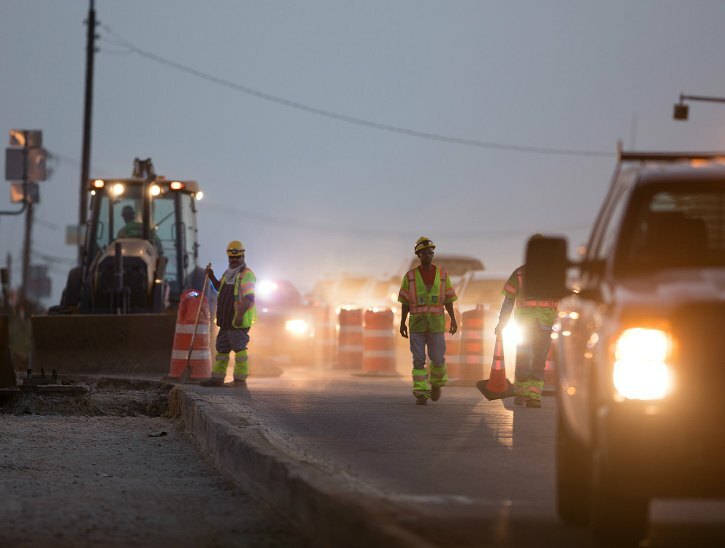 The department is planning a $4 billion overhaul of the highway and appears to be open to the agency’s insistence that the project include some dedicated allowance for transit. The formative vision for the bus rapid transit system includes a handful of stations built on bus-only lanes in the median of the interstate. Those stations, Hemingson said, would be paired with frequent-service bus routes on intersecting east-west corridors. This “Super BRT” is really a “pseudo BRT” plan, since the buses would run with mixed traffic in HOV toll lanes (“HOT lanes”). Basically, it seems like just another express bus system with some added improvements. At the July 26th “Traffic Jam” I was particularly disturbed by a glossy brochure being distributed from Capital Metro titled Connections 2025, which laid out in very concrete terms the agency’s “vision” for the next five years. Nowhere in this document was any rail expansion even mentioned as a possibility. 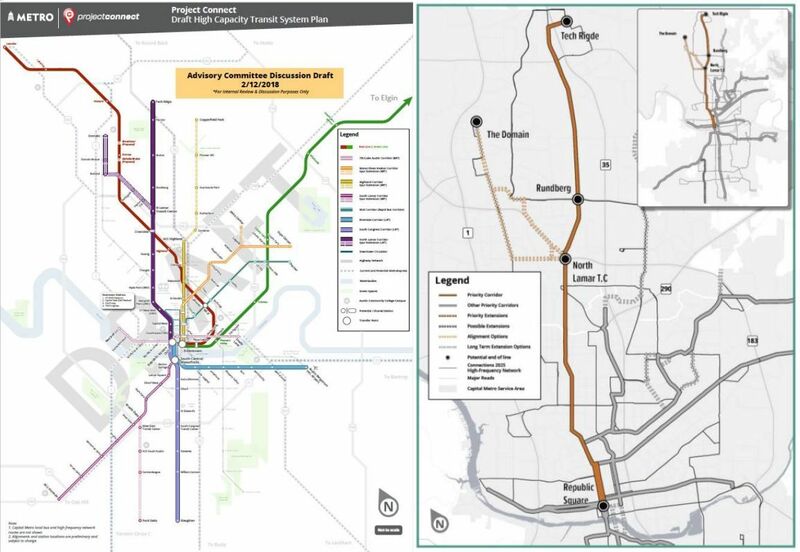 In contrast, the I-35 “Super BRT” plan was mentioned twice, in both places identifying it as if it’s already approved as a project in line for implementation. 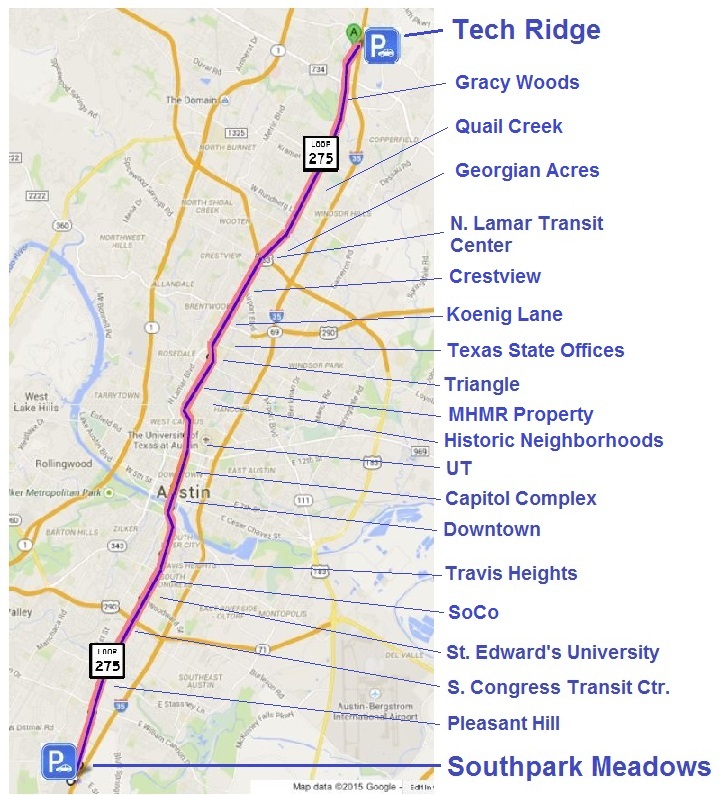 There was no discussion at all of this “Super BRT” project on I-35 during any of the many presentations and speeches during the program, and the very abbreviated public Q&A at the meeting did not permit me to ask for clarification. 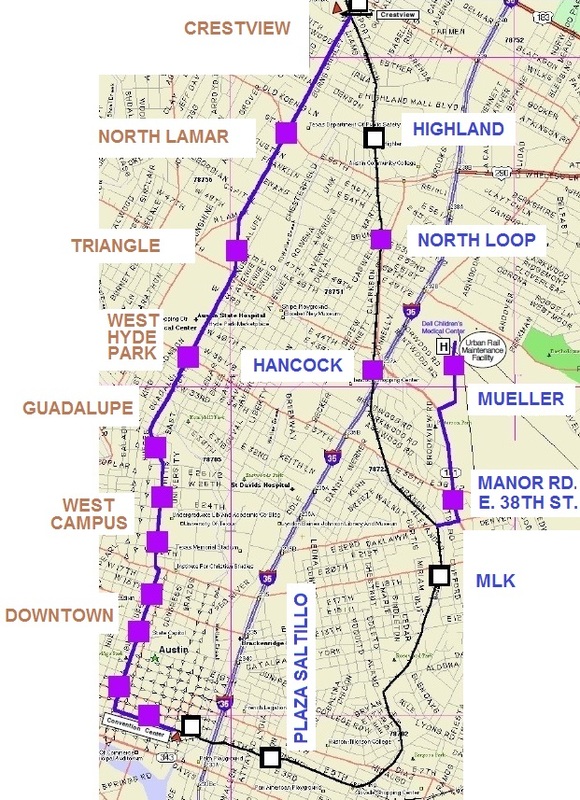 The only mention in this document of the Guadalupe-Lamar corridor was the continued development and expansion of MetroRapid 801 as well as 803 and additional routes. 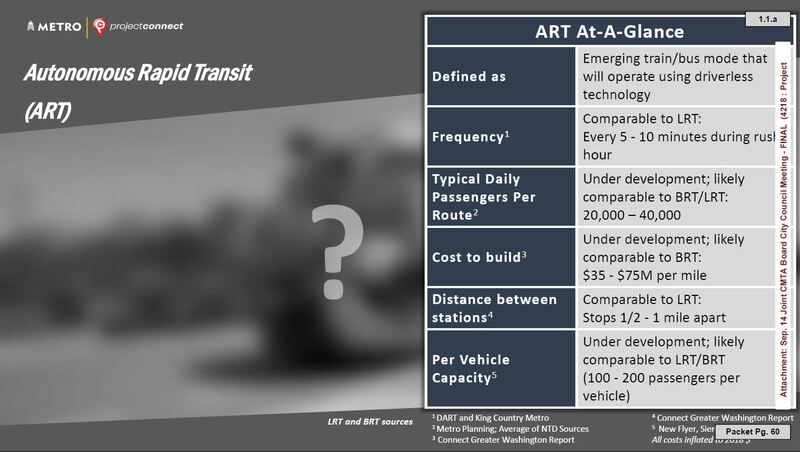 If they intend to continue to dump cash on the “rapid bus” projects in this corridor, that would effectively preclude serious discussion of a light rail transit (LRT) project in that corridor within the next decade at least. 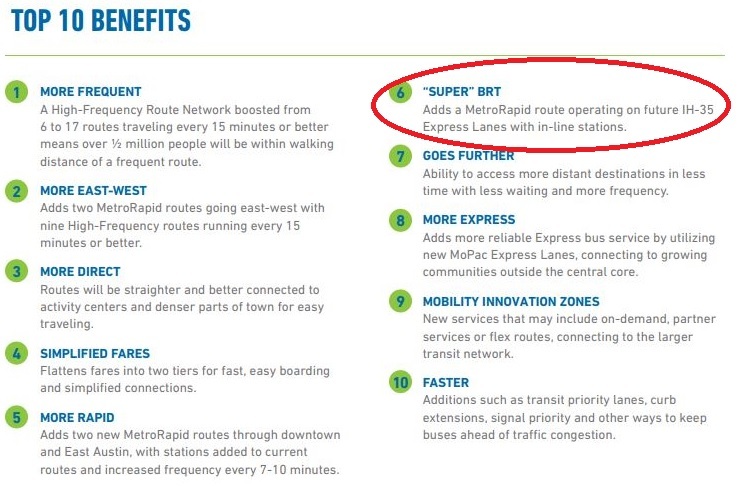 In the Connections 2025 brochure, the “Super BRT” project was listed on the agency timeline for completion by 2023. Needless to say, it looks like the fix is in, at least as far as Capital Metro is concerned. However, I did ask a Project Connect staffer whether this was now a foregone conclusion, and he insisted it’s not. He also said that LRT is still on the table, but admitted that no one at the agency is really discussing it. That was an eye-opener. 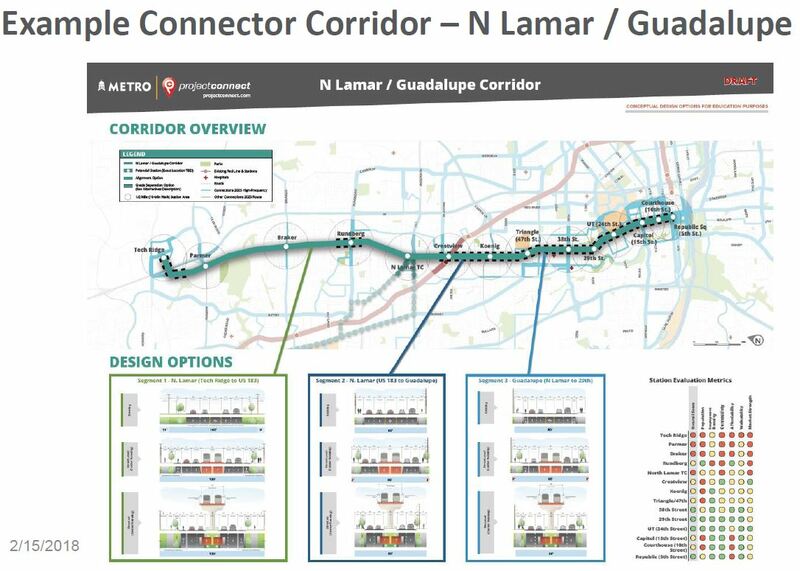 Clearly this is a major challenge to those of us – transit advocates and a large contingent of neighborhoods and other community members – who have been backing LRT in Guadalupe-Lamar (G-L). Perhaps It’s time to request Capital Metro’s board for clarification on their plans for “Super BRT” and how their public input supports this major investment. 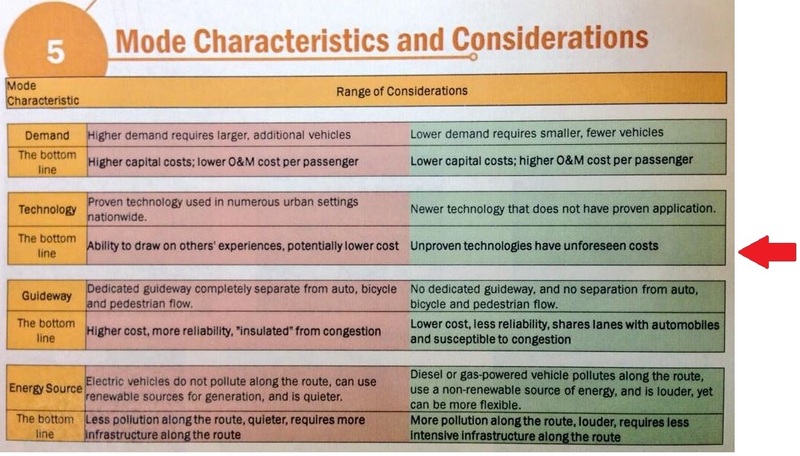 Especially in view of the fact that this carries a huge opportunity cost for alternatives that might include LRT anywhere else in the city, much less on the G-L route. It’s clear that Capital Metro has been intentionally avoiding responding to the continuing public input they’re receiving in support of LRT and the lack of public support for this “Super BRT” notion. It may also be necessary at some point to bypass Capital Metro and take this directly to the City Council. Council can make this happen even if they have to drag the transit agency off the “Super BRT” express bus. Based on my reading of this news report, it seems TxDOT has given Capital Metro a clear signal that “Super BRT” will only happen if the transit agency pays for it. 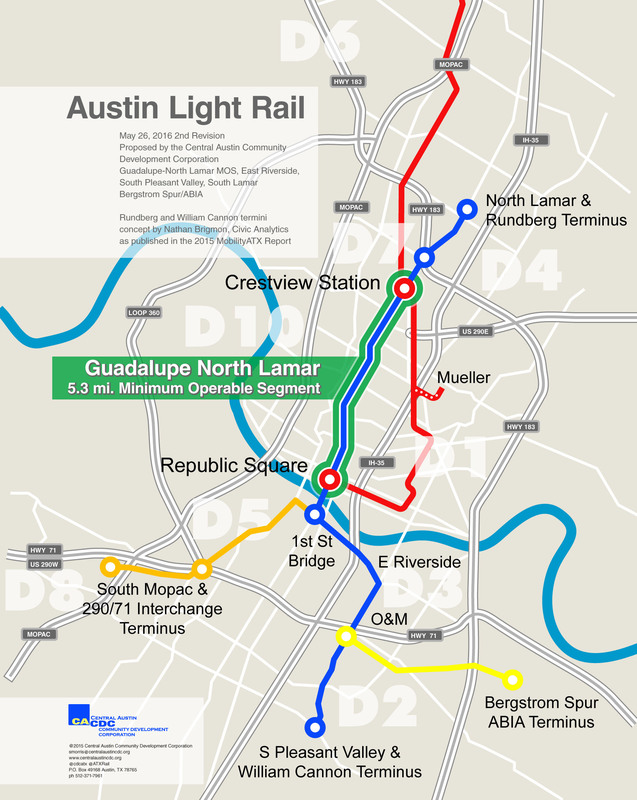 In the current situation, that’s actually very good news from the standpoint of proper planning and what kind of major transit improvement Austin truly needs – LRT. 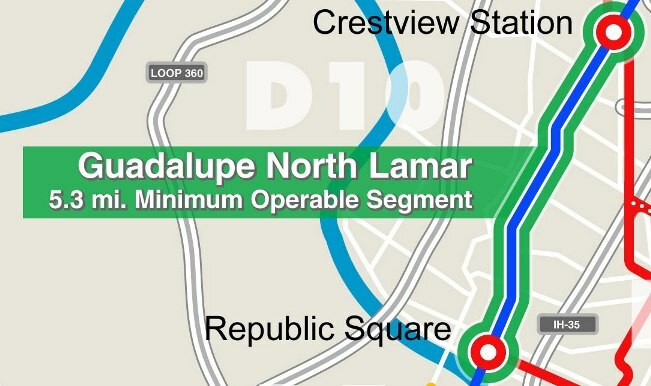 If Capital Metro can’t raise the funds on its own to build this “Super BRT” – or even some scaled-back version of it – that will likely be the end of that bad dream. Presumably its proponents would have to get some bond money to fund it, but if that had to go before the voters it could turn out like the Prop 1 debacle which failed because the public support just wasn’t there. Capital Metro’s credibility would be pretty much destroyed. So maybe there is hope for a G-L LRT after all. From a politics standpoint, it’s usually easier to kill something controversial than it is to approve it. A small but vocal opposition armed with facts could probably sink “Super BRT” if it came to a bond election. I suspect that politically aware members of Capital Metro’s board would be sensitive to sustained expressions of support for G-L LRT, and if there’s no evident support for Super BRT they may respond accordingly, if reluctantly. We have every reason to doubt that Capital Metro will even be able to come close to providing the money demanded by TxDOT to build the “Super BRT” line, at least to whatever standards Capital Metro may determine will have a ghost of a chance in reaching reasonable ridership numbers. This would be a situation where the lack of agency funding could actually work to the benefit of truly effective transit – i.e., an urban rail alternative. In any case, approval of G-L LRT will itself require a public vote. Nevertheless, supporters of this long-overdue project have good reason to believe it will pass if we can bring strong public support to the cause. We’ll have to win an election, and we need to start strategizing now. My hunch is that funding “Super BRT” will kill off LRT for the next decade. Conversely LRT could do in this pseudo-BRT project. It’s a zero-sum game. 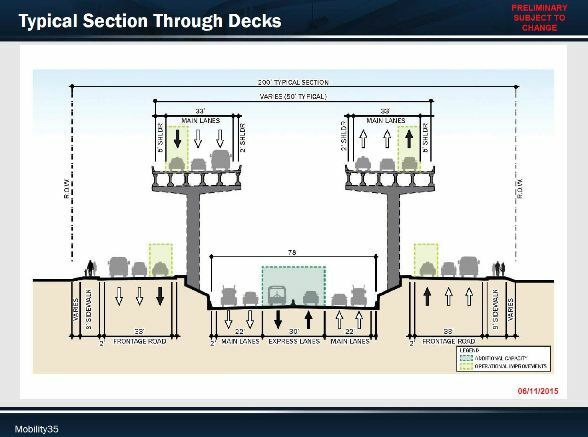 So long as BRT is getting all the official attention our side is side-lined in the public’s eyes. 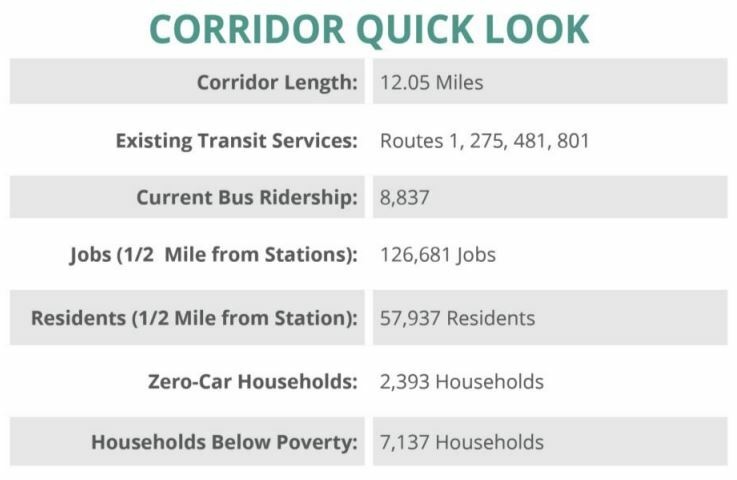 It’s been pointed out here that the likelihood of funding I-35 “Super BRT” through a public bond vote would be much less likely than is the case with LRT, which would run where people actually live and work. One of our most potent arguments is that high ridership depends on convenience and flexibility in options for future build-out/expansion. 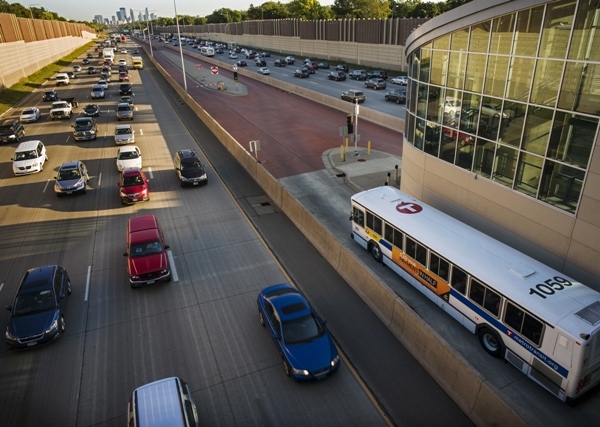 Yet “Super BRT” on I-35 is just a one-trick route, with few options for east-west routes. In contrast, LRT of course has many possibilities for eventual expansion. 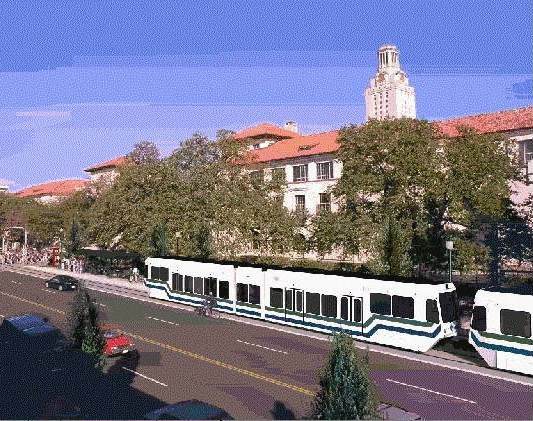 Rendition of LRT passing UT campus on Guadalupe St. An initial starter line in Guadalupe-Lamar corridor would provide basic urban rail backbone for expansion into a citywide system. Graphic: Capital Metro, via Light Rail Now. 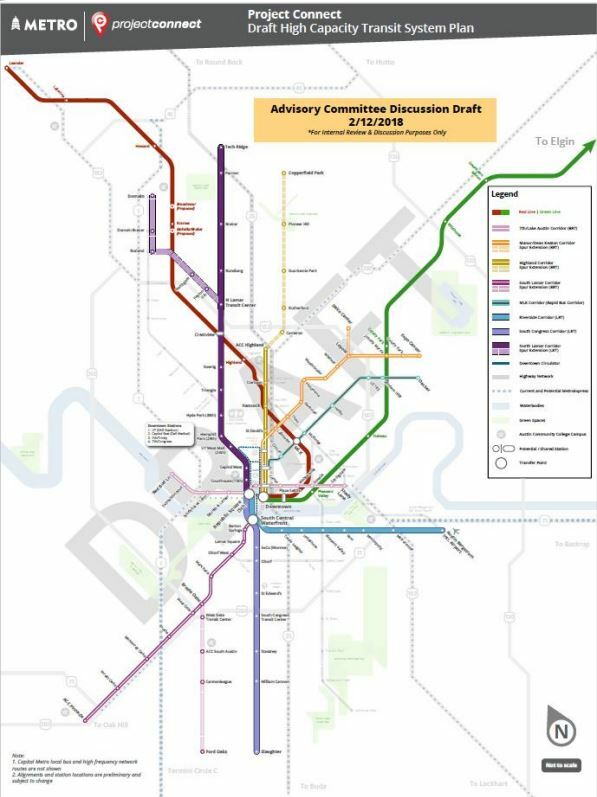 This is the sort of discussion that Capital Metro should be facilitating as part of the Project Connect planning process. One bright spot I have seen recently in the process is the agency’s stated intention to respond on their website to written comments. This is an opportunity to find out how responsive the agency is to public interest and demands for specific proposals. At least Capital Metro has not so far ruled out anything. Thus it is up to pro-rail transit advocates to submit written comments. It’s critical that the written public record reflect the breadth and depth of support for options on the table for consideration. Strong and persistent demonstrations of support for a G-L LRT starter line project may persuade Capital Metro to rethink some of their assumptions and give supporters of this plan a fair hearing, and a detailed response. This would also be helpful in familiarizing more Austinites with the G-L LRT plan and the case that can be made on its behalf. Advocates of LRT – including the starter line LRT project in the Guadalupe-Lamar corridor – have sufficient expertise and numbers behind this proposal to present a credible and persuasive concept that will be difficult to dismiss. So long as positive expressions of support are received the transit agency must recognize the breadth and depth of support for urban rail. Hopefully some official heads can be persuaded.